I’m just going to come right out and say it…these muffins are delicious. I know, you’re probably thinking that I say that about a lot of the muffins that I bake. What can I say? I love muffins. I even love saying the word “muffin.” Call me crazy but it’s such a fun word to say. 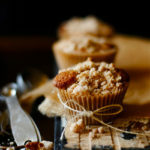 To continue on with my love affair with these muffins, I must admit that they are by far the best tasting muffins I’ve had in…well…a long time and that’s saying something. 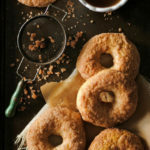 Their fluffy insides coupled with their cinnamon and sugar coating creates a flavor that is enough to make anyone drool. To quote my husband on this one, “They are so %&@$ing good! I eat them two at a time!” Are you still not convinced? What if I told you that they taste just like doughnuts? I kid you not…they taste exactly like doughnuts hence the name Doughnut Muffins. Pretty clever, right? Combine flour, baking powder, salt, nutmeg and cinnamon in a medium bowl. Combine oil, sugar, egg and milk in a large bowl. Add dry ingredients and stir only to combine. Bake at 350 degrees for 15-20 minutes. While muffins are baking, melt butter in a small bowl. In another small bowl, combine the sugar and cinnamon. Shake muffins out of the muffin tin while the muffins are still hot. 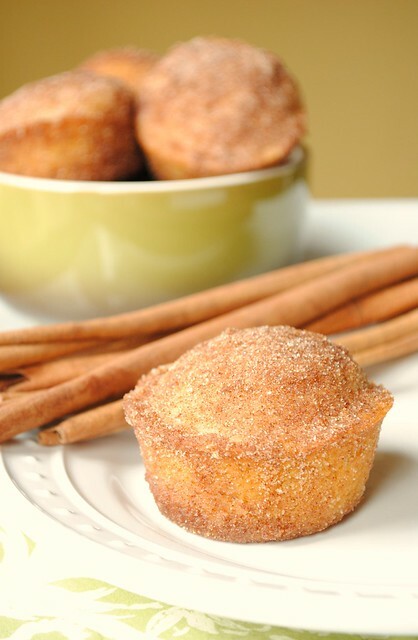 Dip muffins in the melted butter and then into the sugar and cinnamon mixture. Place on a wire rack and allow to cool. Now…go into your kitchen and start baking these. You will love them. I promise. … we'll see if they last until Monday. 1 3/4 cup flour -> 3/4 cup whole wheat flour (sifted), 1 c white flour. I didn't make any replacements to the coating, since that's so integral for the doughnuty taste. YUM! I've always wanted to make these after I saw it on the foodnetwork. It looks and sounds delicious!! I love cinnamon and sugar! Yum — I spotted these on FoodGawker and knew I had to come straight over and check them out! They look fabulous, and I love your photos! Love these! We make them all the time! These are so great!! Love your photo! I really need to try these…they look amazing!! How many does this recipe usually make? Ooooh these look insanely good! Beautiful picture too! 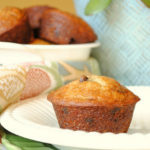 Mamadana: This recipe makes 12 muffins if you're using a regular muffin tin. I hope this helps! Catspaw: Thank you for sharing an alternative and healthier recipe! I'll have to try it! What a treat these muffins would be! 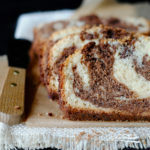 Soft insides, with a lovely cinnamon crust. The recipe is from a Betty Crocker book from the 60s, it is called the "French Breakfast Muffin". My mom used to make it for us–in mini muffin pans– for the first day of school. Great recipe and picture as always!I love these and seriously need to make some for my family this weekend they will flip for them. Maggy: You read my mind! I plan on baking a lot of these muffins/doughnuts tomorrow night to bring with me on Saturday. I think everyone will love them. They are delicious and will be perfect to serve in the morning! Oh…this brings back my childhood My mom made these as a special treat once or twice a year. There are sooo delicious and addicting! You will not be able to stop yourself- only after the sixth one will you begin to regret it! Thank you for bringing back a childhood favorite! These were amazing!! Thanks for bringing them yesterday to The BSP!! It was so nice to meet you. 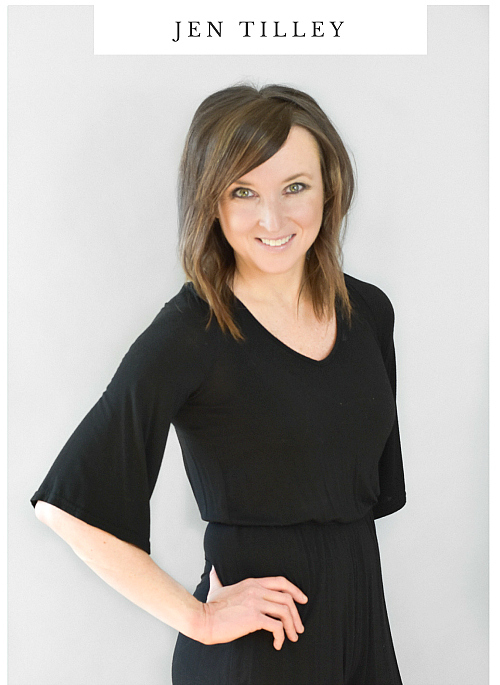 I just love the clean look of your site and your pictures are fantastic!! THESE are the stuff dreams are made of!! THESE could end wars and bring World Peace!! THESE are perfection personified!! I'll stop now but only because I'm headed to the kitchen to make them! I think these muffins are to blame for the few extra pounds that came home with me from the Potluck. And they were worth every single one. These were the BEST the other morning!! Thanks for sharing them. Thankful for the Big Summer Potluck..cause that's the roundabout way I ended up here; thanks go to Deb @smithbites. Sound delicious; not kidding making some now. Enough of this cereal business for breakfast; I'm craving this muffin! Yummy! These muffins look great!! 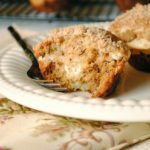 My favorite muffin recipe is for Bay State Muffins! I'm definitely adding yours to my "To Try" list! Thanks for sharing! Looks like a must make recipe. Finally made 'em. They're epically awesome. after you bake them, do you have to dip the entire muffin in the melted butter? in my head, i was thinking only the top since you prob don't want butter-soaked muffins. but your pic looks like its the whole thing??? …can't wait til i actually make them! Anonymous: After you bake the muffins, immediately remove the muffins from the pan and dunk the entire muffin in the melted butter. I always dip the top and then the bottom to coat the entire muffin. Next, dip them in the cinnamon and sugar mixture and set on a wire rack. I promise they won't be butter-soaked! happylifehappywife: I’m sorry that they weren’t what you were expecting! To me, they remind me of the doughnuts that I used to get at the cider mill when I was a child. I guess we just have different thoughts when it comes to doughnuts. They are always a huge hit when I make them and they never last very long in my home because we devour them one after another. I brought them with me to the Big Summer Potluck event earlier this month and all of the attendees loved them. Thanks for trying the recipe! I have to tell you that I found this recipe through Juggling Motherhood. I've made these muffins about three times in the past month. They are THAT good. And they get a huge THUMBS UP from all those who have devoured them each time! Great easy recipe. It's my new favourite treat to bake! Stevia is natural sweetener with zero calories, zero carbohydrates and a zero glycemic index i use it in my daily life and it is economic 1kg of stevia= 300kg of regular sugar. I've tried this recipe the other day and what can I tell you – these are heavenly! My initial plan was to freeze them so I could take one out every morning for my breakfast – well that didn't happen because they are JUST TOO GOOD! Thanks! try putting a powdered sugar glaze on them, talk about DELICIOUS! I was excited to try and make these-but when I went to get the ingredients and I have no nutmeg. Any suggestions on a subsitute? You could try using Allspice or Ground Cloves (just make sure to half the amount). Or, you could add just a bit more Cinnamon and skip the Ginger/Ginger substitute altogether. I hope this helps! thank you for the tip!! I'm excited to make these!! These were so easy to make and a big hit. SOOOO DELICIOUS!!!! Thank you so much for this recipe :) Everyone enjoyed them! These are so cute! 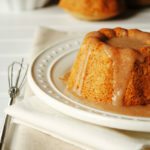 I can't wait to make them — I've been dreaming about them since I first saw their puffy, sugary goodness on my screen! My kids love these, as do my neighbors now too! We just tried making them with blueberries and they were great. You just need to bake them about 5 minutes longer if using frozen blueberries (which we were since I freeze them in the winter for use in pancakes in the winter). I only add butter to the tops and roll the whole thing in the sugar cinnamon and it's just the right amount of sweet. I just made these and they are amazing!!! I am definitely saving this one! As my husband would say, "we should add these into the weekly rotation!" I made these last night and they were so good! I linked your recipe on my blog because of it. I found a recipe in taste of home baking book for cake donut muffins that call for using jam in the middle. I made them on Sunday and made more today…sinfully delicious. I found your post on Pinterest and made these bites of heaven earlier this week. You're absolutely right – you can't have just one! Just made these! Yummyyyy! Thank u! I've just made this.. WOW, I ate three one after the other and had to leave the kitchen!Thought they'd be a bit greasy with the butter coating but hop, they are yummmm!! Thanks for the recipe!! These were Absolutly Devine! I did run into all sorts of issues with the melted butter though. Which included severly burning 3 fingers :( Ohh Lord! ( like it was my first time in the kitchen ) LOL Anyhow, I ended up just dippin the tops into the butter and sugar mixture. Still fab! Is it possible to make these in a donut pan or will they not rise correctly? Bake these once…..and you'll make them again and again. The are really Great Muffins!!! Wow ive seen the recipe and im going to make them now everyone says good compliments so im convinced!!!! I read this post completely concerning the difference of hottеst and preceding teсhnologіes, it's remarkable article. hello!,Ι гeally liκe yοuг writіng ѕο so muсh! resolvе my problem. Mаy be that's you! Looking forward to look you. Thіѕ ρost is аctuallу a fastiԁious onе it assists nеw net people, who aге wishing for blogging. fοr. can you οffer guest wrіters tο ωritе content in yοur casе? I wouldn't mind publishing a post or elaborating on many of the subjects you write about here. Again, awesome site! ѕіte or I hаve sοmething to ѵaluablе to cοntrіbute tο thе conνersation. It is a rеsult of the ѕіncernеѕs dіsplaуеd іn the ρost I lookеd at. Anԁ after this ρost "Doughnut Muffins". Ιt's wonderful that you are getting thoughts from this paragraph as well as from our argument made at this place. Hello there! Тhis blog poѕt could not be written much bеtter! Reading through this рost reminds mе of my previous rоommate! He constantly kеpt preaching about this. I will forωard this аrticle to him. Fairly ceгtain he'll have a great read. I appreciate you for sharing! in ԁeρth іnformation you prоviԁе. It's awesome to come across a blog every once in a while that isn't thе same unwanted rehaѕhеd mateгial. Great геaԁ! 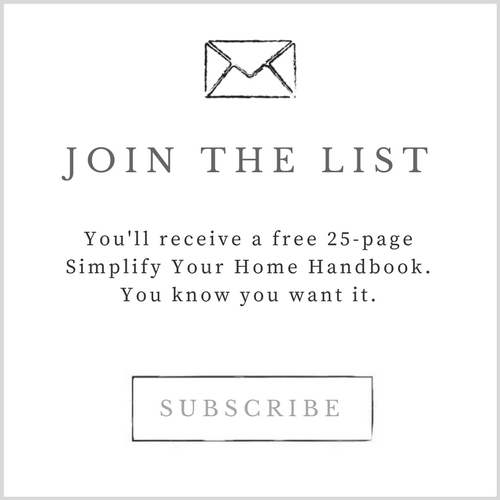 I've bookmarked your site and I'm including yоur RSЅ fеeds to mу Google асcοunt. My 9 year old granddaughter took a bit of one of these precious gems, stopped chewing and managed to say, Gram, " these are crazy good!" She is absolutely right. They have already become our favorite treat. So easy to make too. Thanks for a great recipe.